1. switch up the bedding. transitioning from summer to fall bedding can help create a sense of warmth and tranquility turning your bedroom into a sanctuary. we love linen for the colder months and parachute home's linen sheets are a favorite of ours. linen gets softer with time and its texture warms the bed as you crawl in. 2. add a fur blanket to the mix. 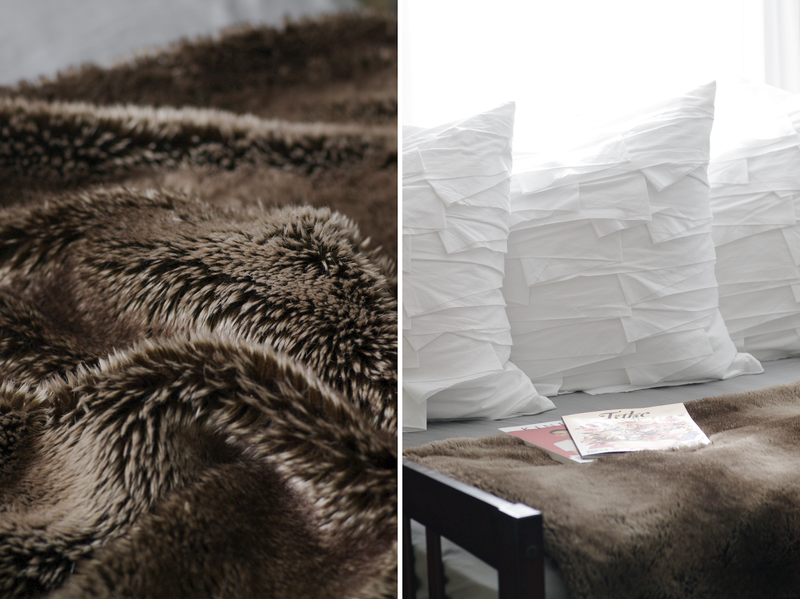 drape a fur (or faux fur) blanket over the end of your bed to add warmth and create a major cozy factor. the soft texture and dark charcoal color of restoration hardware's faux fur blanket adds visual depth while making you want to stay under the covers all day long. 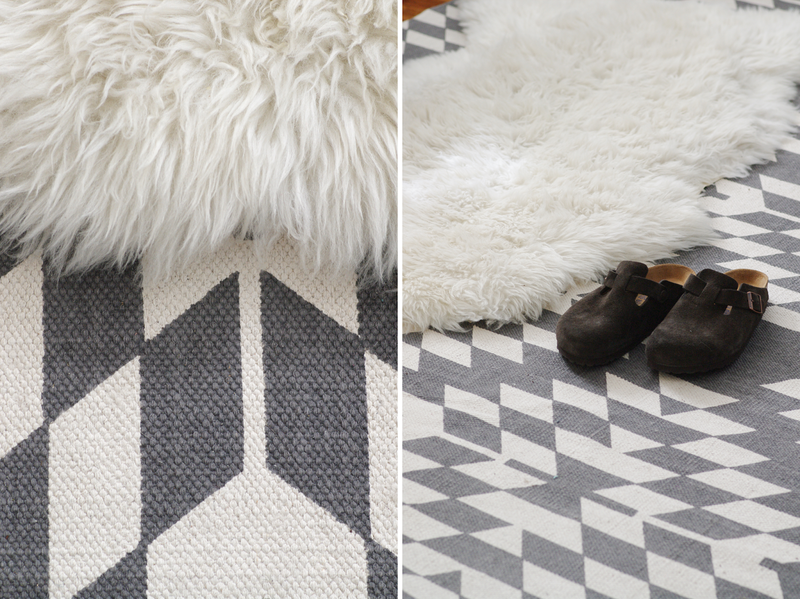 add a lambskin throw rug to your bedside for an extra layer of warmth under your feet on those cold mornings. 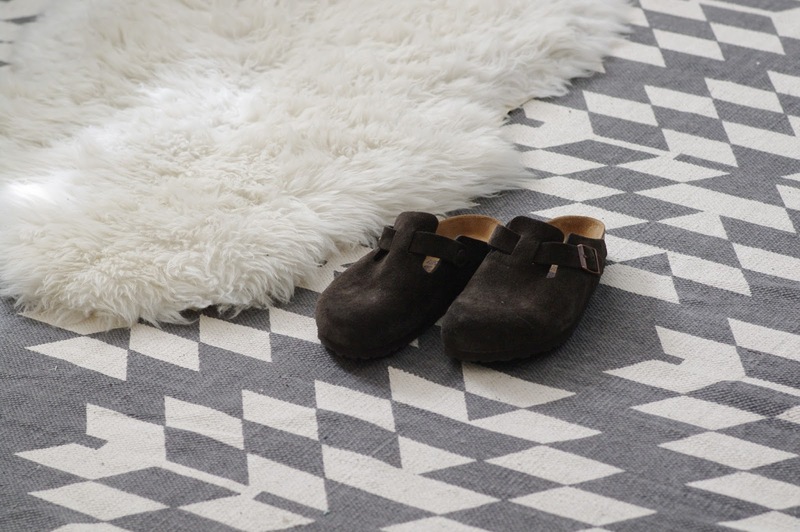 we've paired this fuzzy little guy with a patterned flat-weave rug to give a contrast of color and texture making your room a little more inviting. 4. engage your sense of smell. 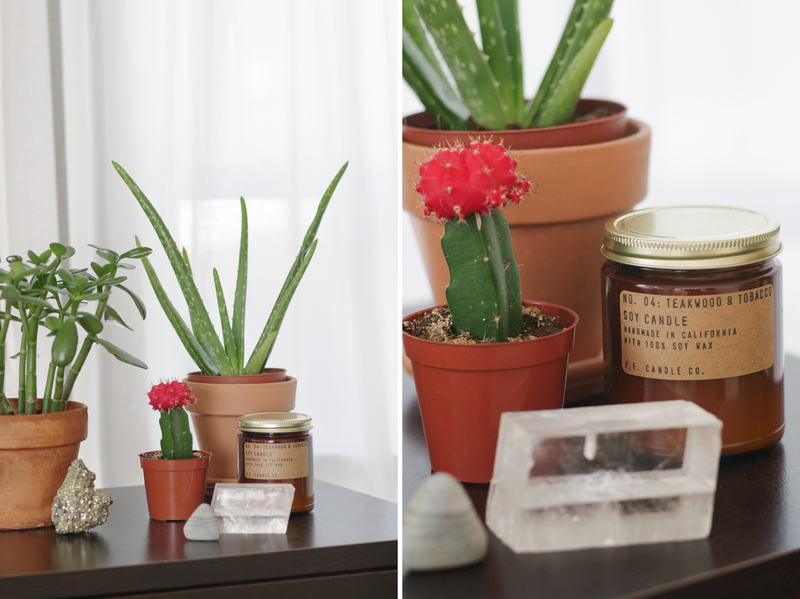 a familiar and soothing scent can make your room more appealing for an evening indoors. we recommend pf candle's patchouli sweetgrass soywax candle. the glass amber container and the rich, woodsy scent reminds us of an autumn campfire. we also recommend paine's balsam fir incense and fig & yarrow's room mist for instant relaxation. 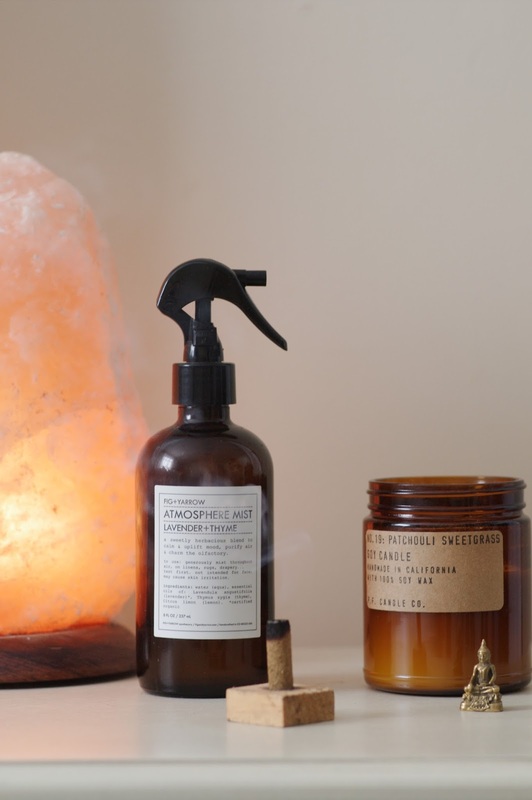 we've placed a himalayan salt lamp by the bedside for a comforting, rose-colored glow. not only does it look beautiful, this lamp has health benefits as well, creating negative ions in the air to reduce indoor air pollution & allergens. it's also recommended to reduce stress and improve sleep. a small collection of terracotta potted plants or a few tiny, weathered beach stones can be the perfect way to bring the outdoors inside. 7. wrap up in a cozy throw and put on some hot tea. there's nothing better than curling up with a warm stoneware mug of tea while wrapping yourself in a soft throw. 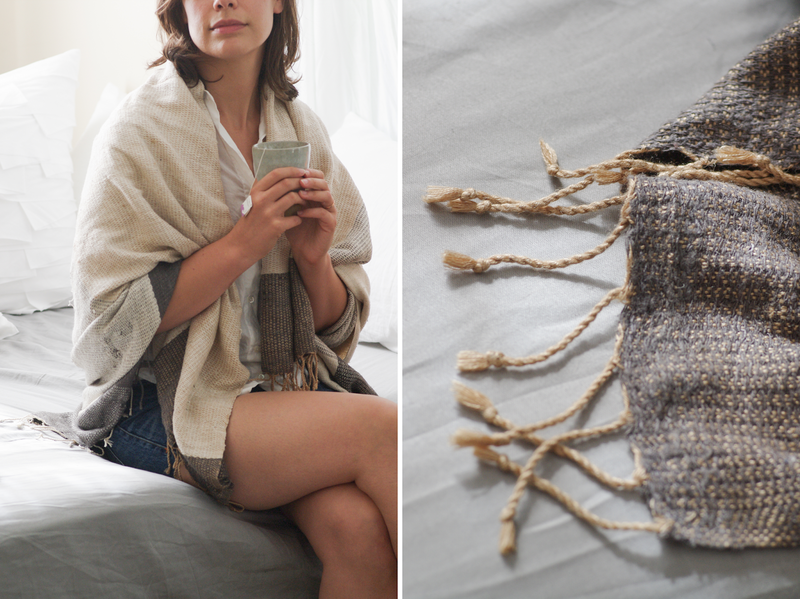 west elm's hand-loomed silk throw is the perfect size for lounging.